If the Make-A-Wish Foundation of Montana receives 250,00 donated air miles by the end of January, Advisory Committee Member Aaron Sparboe will match the donation with his own 250,000 air miles. Please consider making this life-changing donation if you have air miles with Delta, US Airways, Continental or United. Our local Make-A-Wish chapter needs approximately 10 million air miles to help make wishes come true this year. The Make-A-Wish Foundation® of Montana grants the wishes of children with life-threatening medical conditions to enrich the human experience with hope, strength and joy. Since 1987, the Make-A-Wish Foundation has enriched the lives of Montana children with life-threatening medical conditions through its wish-granting work. The Foundation’s mission reflects the life-changing impact that a Make-A-Wish® experience has on children, families, referral sources, donors, sponsors and entire communities. 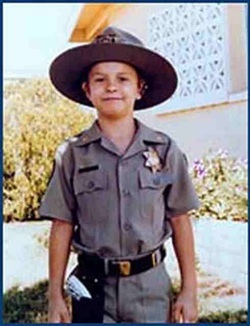 All his life, Christopher James Greicius dreamed of becoming a police officer. But he couldn’t know that his wish would be the inspiration for the largest wish-granting organization in the world. 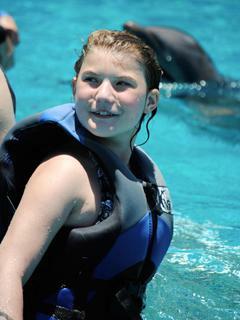 The Make-A-Wish Foundation® traces its beginning to one boy’s wish. In 1980, 7-year-old Chris Greicius was being treated for leukemia. Every day, he dreamed of becoming a police officer. U.S. Customs Officer Tommy Austin had befriended Chris and his mother, Linda Bergendahl-Pauling. He also promised Chris a ride in a police helicopter. When Chris’ health worsened, Austin contacted Ron Cox, an Arizona Department of Public Safety officer, and planned a day that would lift Chris’ spirits. On April 29, 1980, Austin and a caring group of DPS personnel started Chris’ day with a tour of the city in a department helicopter, which also flew him to the police headquarters. Three cruisers and a motorcycle officer greeted him before his meeting with the DPS command staff. There, Chris was sworn in as the first honorary DPS patrolman in state history. On May 2, Chris was back in the hospital. He asked to arrange the room so he could always see his uniform, his motorcycle helmet and his “Smokey Bear”-style campaign hat. DPS motor officer Frank Shankwitz presented Chris with his motorcycle wings. He accepted them with a smile that lit up the room.